Walk through Jardins aux Tulleries and queue up at Musee de l'Orangerie for a morning with Monet. Make sure your wandering leads you to Saint Germain where the croquet monsieur at Aux Prés will change your life. End a sunset stroll through Place de Vosges with champagne and éclairs at Carette before freshening up for dinner at Kong which just so happens to have a million dollar view of Paris. Hugette, tucked away in in the 6th arrondissiment, is an extremely well known seafood restaurant that locals love. If fruits de la mer isn’t your thing, their poulet also happens to be nothing short of amazing. The cute waiters clad in Saint James stripes don’t hurt either ;) Darocco is a new favorite of mine for some delectable Italian if you're burnt out from steak frites. The Big Mamma Group has taken over the food scene in Paris these past few years with insane popularity of their restaurants: East Mamma, Ober Mamma, Mamma Primi, BigLove Caffé, Popolare and Pink Mamma. If you fancy a drink after shopping your way through Avenue Montaigne, a seat on the terrae of L'Avenue will do the trick! Après dinner at Brasserie Lipp or or Chez Julien, head to Le Hibou for a night cap. 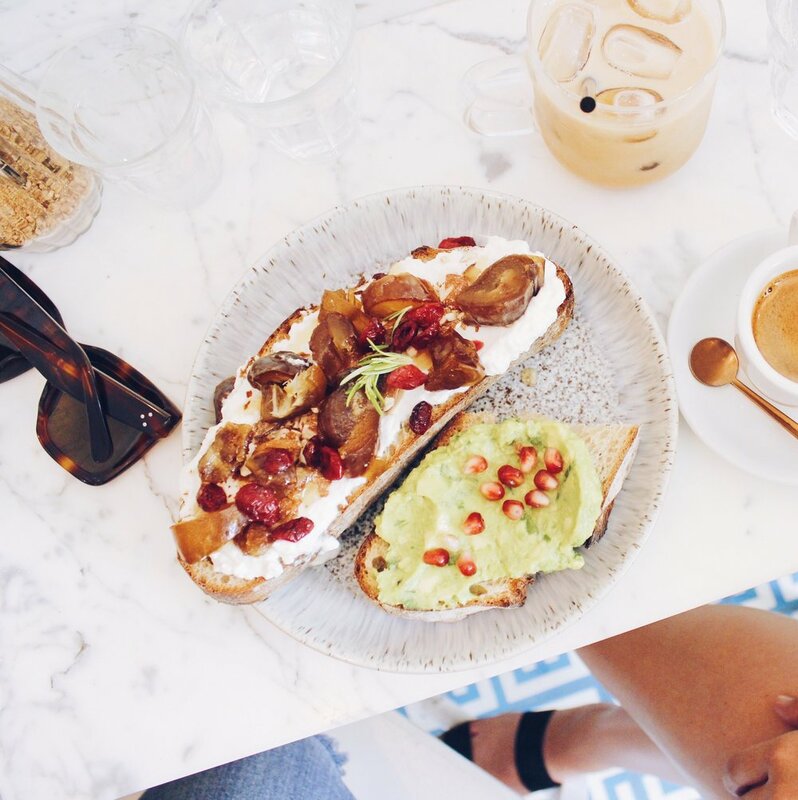 The morning after, take a stroll through Le Marais to Ob-La-Di for iced cappuccinos and toast for brunch. Aside from the mandatory stroll down Rue de Rivoli and Avenue Montaigne, Rue des Francs-Bourgeois is one of my favorite little streets nestled in Le Marais with the best boutiques. You can also spot your favorites here with everything from small french labels to the big guys like Isabel Marant to Sandro. If you find yourself in Jardin du Luxembourg, make your way a few streets over to Le Bon Marché – a must in Paris! If it's some vintage you're after, look no further than Scarlett (10 Rue Clément-Marot)... they have the best selection of vintage Chanel in the city. And of course, a trip to Paris would not be complete with out a trip to the French pharmacies. My favorite (and the biggest!) is tucked away in Saint-Germain-des-Prés right off Rue Bonaparte. I am highly moved and inspired by art, so every trip to Paris must include a new museum or gallery. 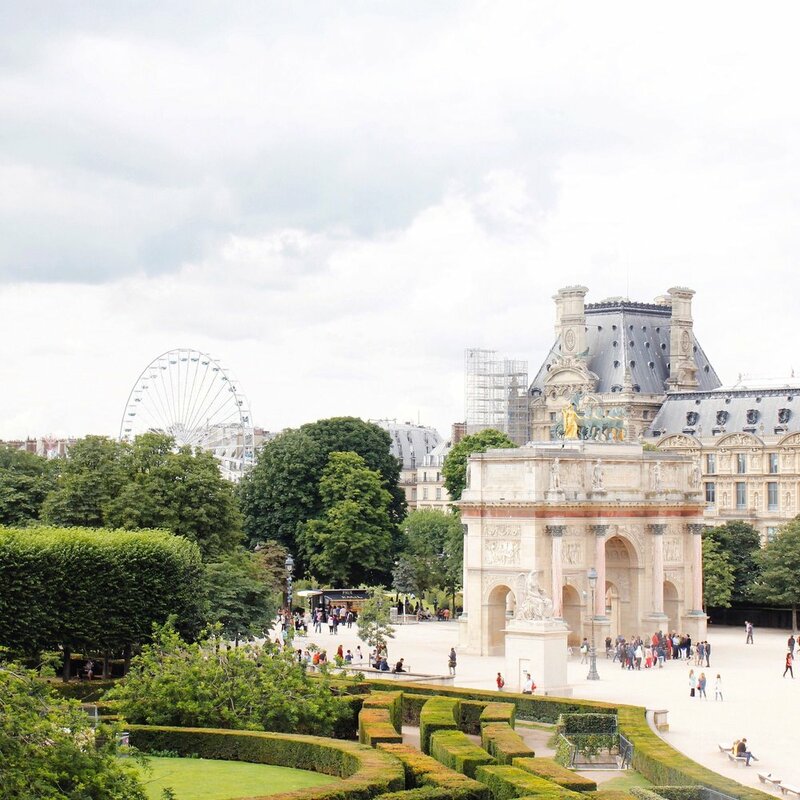 Once you’ve ticked the Louvre off your list, check out Musée d’Orsay, Museée de l'Orangerie, Musée Rodin, Petit Palais, and Centre Pompidou just to name a few. Keep an ear out for any new exhibitions and openings during your stay!